Hi friends, If you want to earn money more with your site. Then you need to know SEO technology to create a site. And using of high CPC long tail Keywords in your posts. I'm giving you full SEO explanation and a list of high CPC long tail Keywords. That will help to increase traffic, quality backlinks, revenue, popularity, and Domain Authority of your site. Hi friends, I'm Gyan Ranjan. In this article, I'll try to explain SEO technology with full SEO explanation. I'm providing a list of high CPC long tail Keywords. This SEO tactic and the list of high CPC Keywords will be helpful to generate high revenue. And rank your site on Google and other popular Search Engines. At first, you need to know what is SEO? Thus let's know that Search Engine Optimization(SEO) is a technology to optimize your site to rank fast on Google and other search engines. As a result, you could boost Adsense revenue, DA, PA, and PR of your site. In this way, you can earn money more and rank your site with the help of SEO Technology. 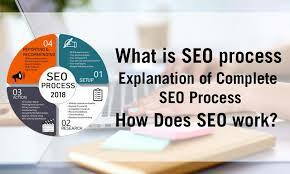 SEO Explanation will help to understand SEO Technology. SEO is divided into two parts, On-page SEO and Off-page SEO. You need to boost the both, On-page and Off-page SEO to rank your site. To understand SEO Technology, suppose that there is a home with a family members husband and wife. Wife of a home arranges all the components in a good manner to look a home beautiful and attractive. While the husband earns money to give strength to his home. Could you think, that home is your site. Off-page SEO and On-page SEO are the family members like husband and wife. You can give an attractive and beautiful look to your site with the help of on-page SEO. And able to strengthen your site by collecting the quality backlinks using link building strategy. That is off-page SEO. You should use this on-page SEO strategy to make a site beautiful, attractive and organic traffic gainer. 1. Use SEO Technology to create a site or blog. 2. Write useful, attractive, and SEO Friendly content. 3. Use long-tail keywords using a Keyword tool. 4. You can use high CPC keywords to boost Adsense revenue. 5. Distribute the keywords in a good manner within your content. 6. Include related article links in your content. 7. Try to write short sentences to increase readability. 8. Chose appropriate images and use image alt-attribute. 9. Keep all the components within your post in a good manner. 10. Publish your post after making it fully SEO friendly. You should use this off-page SEO strategy to increase popularity, DA, PA, PR, traffic, and revenue of your site. 1. Submit a site to Google, Bing, Yandex and other popular search engines. 2. Collect paid or free do follow backlinks to your site. 3. Increase .gov backlinks using the list of .gov sites. 4. Boost .edu backlinks. Use the list of .edu sites. 6. Create accounts on these best social sharing sites to share your posts. 7. You can use this free backlinks builder tool. 8. Follow some basics to boost Adsense revenue. 9. Increase organic traffic by using these tricks. 10. Do guest-post for high DA guest-post-enabled sites. 11. Submit posts to various reliable web directories. 12. You can use auto surf strategy. But do it carefully. Because of the access use of traffic exchange sites may be harmful to your site. I think this SEO Explanation is enough to understand SEO technology. If you think, something missing then does a comment. It will be helpful to make this post more effective for everyone. Now let's know about some high CPC Keywords. Using which you may increase earnings from your site. Mesothelioma is a kind of cancer that can't be cured. It affects the lungs, stomach, heart and other organs. It's long term treatment only can reduce pain and problems. So the person suffering from this disease, need high expensive long term treatment. That's the cause by which the keywords related to this disease are with high CPC. SEO Service A portable fish finder has other benefits too. They are light-weight and simple to use. Plus they let you use a fish finder in eventualities where you will not be able to employ a fixed one. Thanks for this unique post with the help of which we can increase traffic, backlinks and revenue. This post is a full tutorial for enhencing SEO.